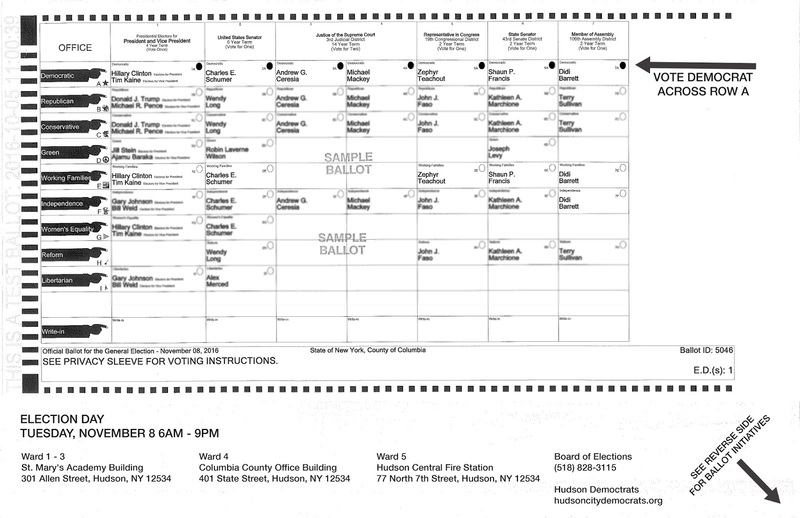 See below for information on polling locations, ballots, and absentee ballot registration. 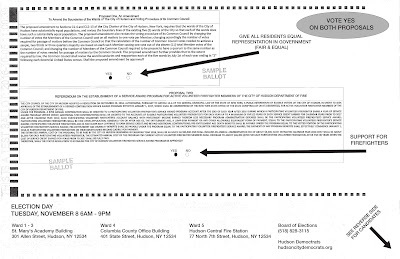 Turn the ballot over and Vote Yes on both proposals (Fair & Equal and Support for Firefighters). 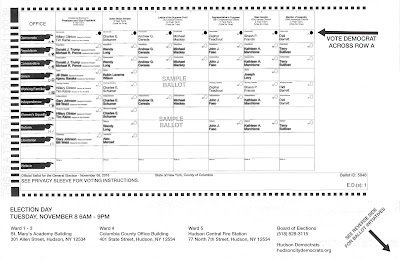 The Hudson polling locations are the standard election polling locations. Not in the County on November 8? 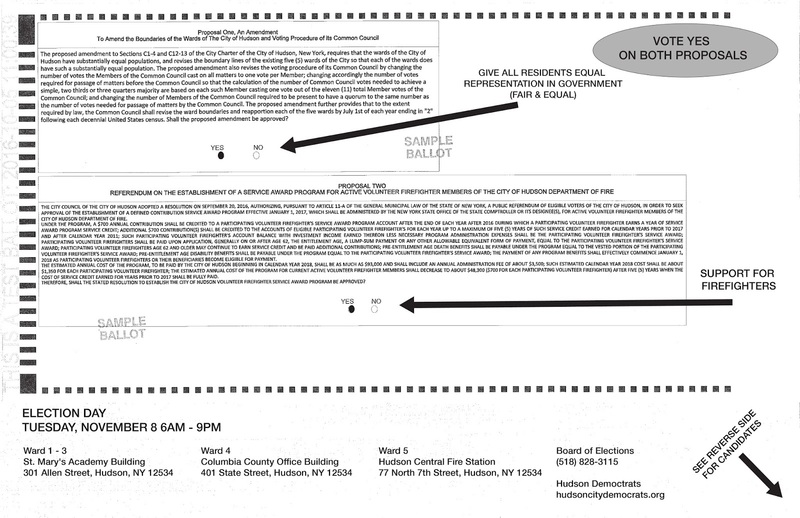 Get an Absentee Ballot. The mail-in deadline has passed. All applications must be hand delivered. You can assign a representative to hand deliver the application. November 7: Last day to hand deliver application. If you have any questions or problems with the voting process, contact the Democrats at the Columbia County Board of Elections. Call (518) 828-3115 and ask for Jim, Diane, or Virginia.